This level has easy difficulty and you need to use good technique to complete this level. 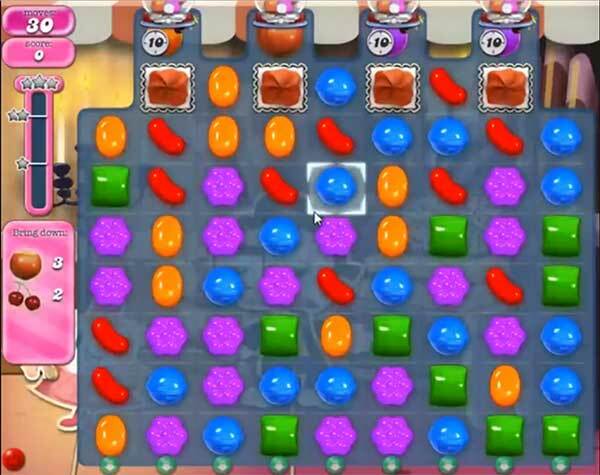 For this level you should try to break the top blockers using colorbomb with striped candy combo. After break the timer bomb as soon as possible. Then try to play near to ingredient to take them to the bottom fast or use special combo to use less move and get more score. This level will make me stop playing – I am just not fast enough to get things done. Frustrating. I have gotten through some really hard levels but not this one. Plus when you watch the video – they wait to do things and that is not right because the bombs keep counting down. I hate this level. I have gotten down to only apples one time and that was it and time ran out.